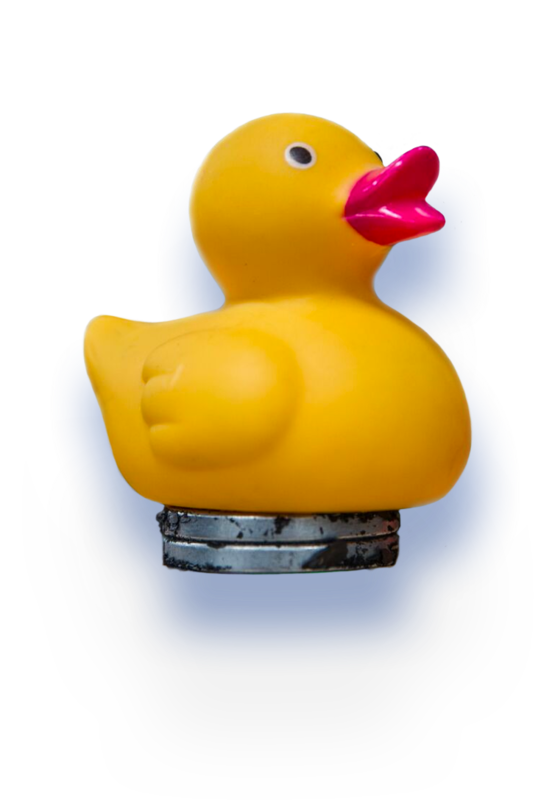 Rally is a customer relationship company, focused on collecting high-value, low-friction qualitative responses from customers, employees, and businesses. Initially managing the process of finding, qualifying, and surveying users who meet the criteria of customers, Rally has evolved to focus on curating customer and employee relationships with SMS as the delivery mechanism. 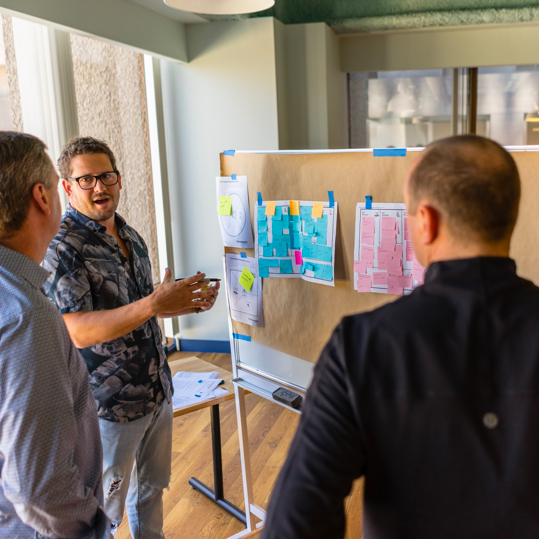 After initially meeting at one of Arthur’s monthly product strategy and UX workshops, our relationship with Rally has extended across multiple projects. 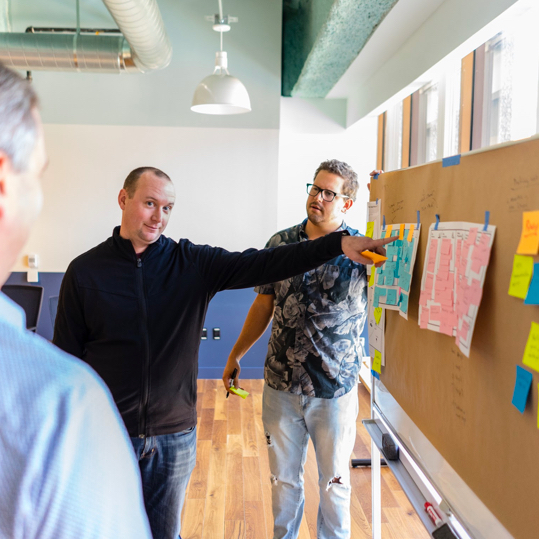 As a growing startup, they were looking to fine-tune their messaging and story to connect the value of their products and services with the need of their customers. 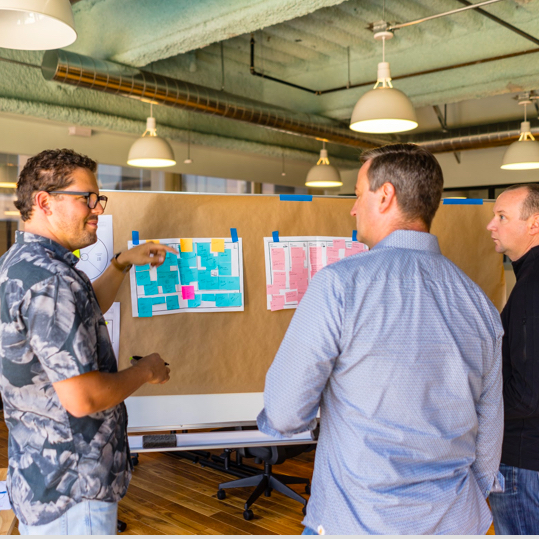 We hosted a collaborative workshop, bringing in all members of their company. 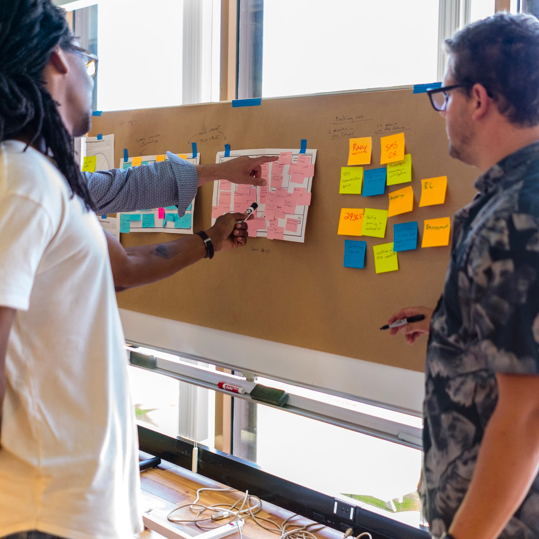 Over the span of several hours, we methodically uncovered the jobs, pains, and gains of each of their customer segments. Together, we refined their customer segments into distinct personas, each with specific behaviors, needs, and aspirations. Refining the Product Value Proposition. With personas complete, the next task included the definition of the value provided by the Rally product and services. Listing out features, benefits, and how they match with their customer segments was an eye-opening activity. It aligned their entire team as to how their product resonates with their customer base. The strategy workshop ultimately resulted in a single statement, combining the value of the product with the need of the customer. Rally used this value proposition statement to refine messaging on their website. Auditing the Platform User Experience. 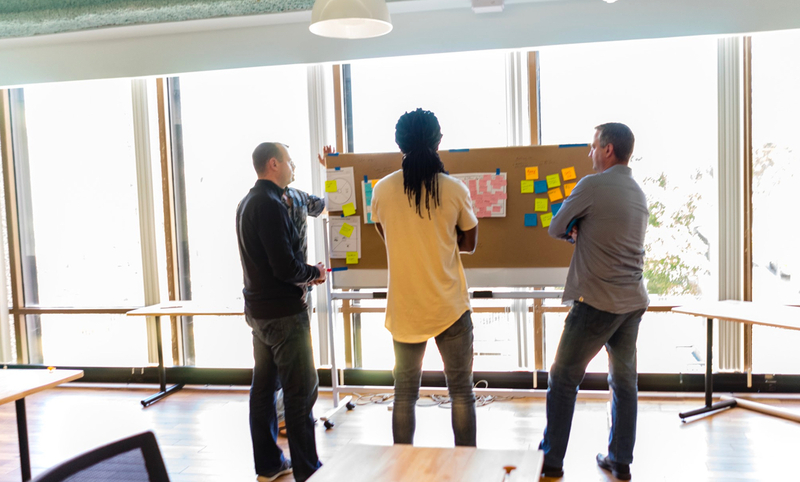 During the process of validating the messaging and value proposition, Rally uncovered a better opportunity to pivot into what the platform is today. Following their strategic pivot, Rally built out the MVP of their evolved platform. 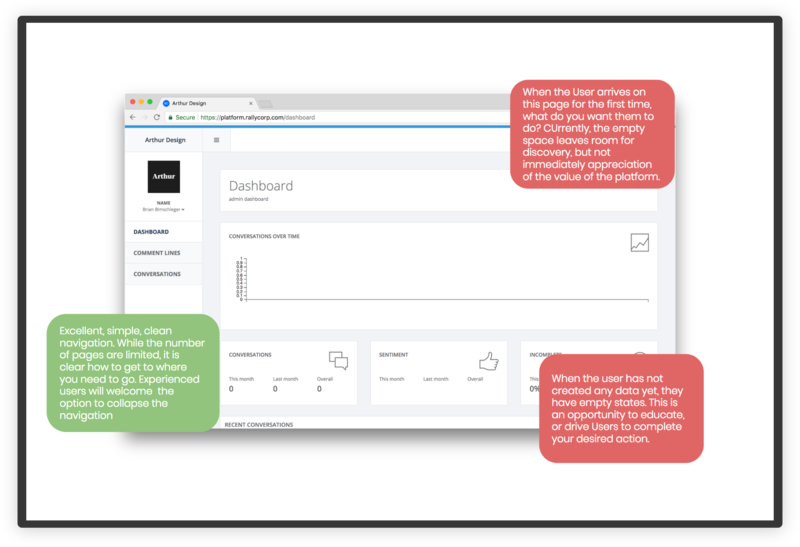 With the platform up, running, and accepting new users, Rally brought Arthur in to evaluate and validate the UX and flow of their MVP. 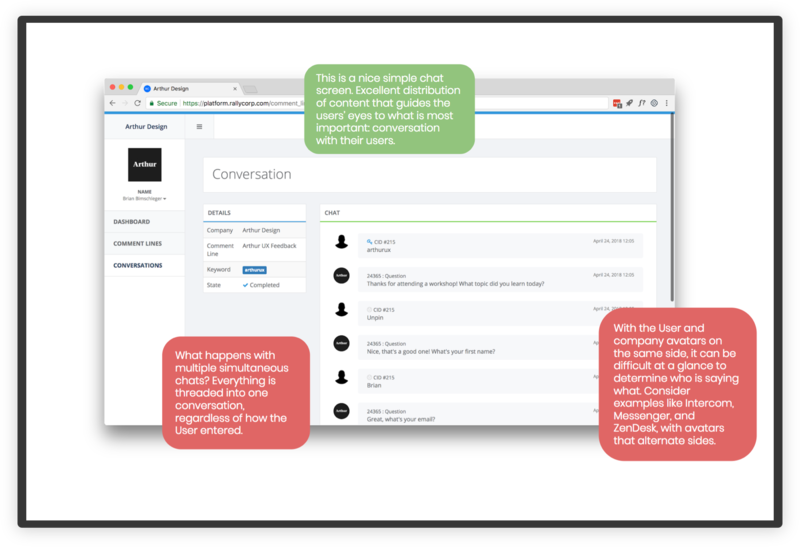 Interface by interface, we cataloged the new user experience and followed the path through completion of the core user activity: collecting responses from customers. Throughout the process, we were able to identify excellent usability patterns and areas for improvement. In the end, we compiled a summary to detail items that were quick wins, and items that necessitated more substantial discussions to understand the impact and effort. 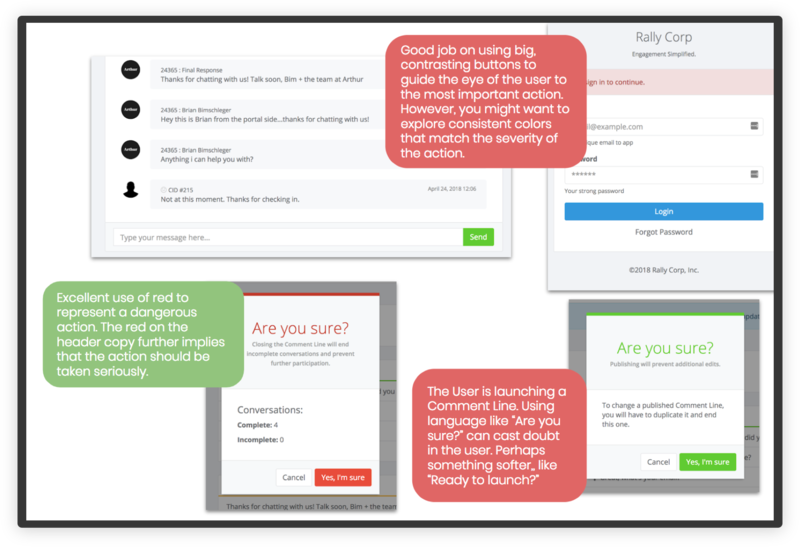 Following the UX audit, Rally immediately brought several quick wins into their next development sprint. As a rapidly-growing startup, Rally continues to evolve, integrating new features, functionality, and benefits to their end users. With Rally local to the San Diego area, Arthur and Rally continue to work together to optimize the platform UX and flow on an ongoing basis.